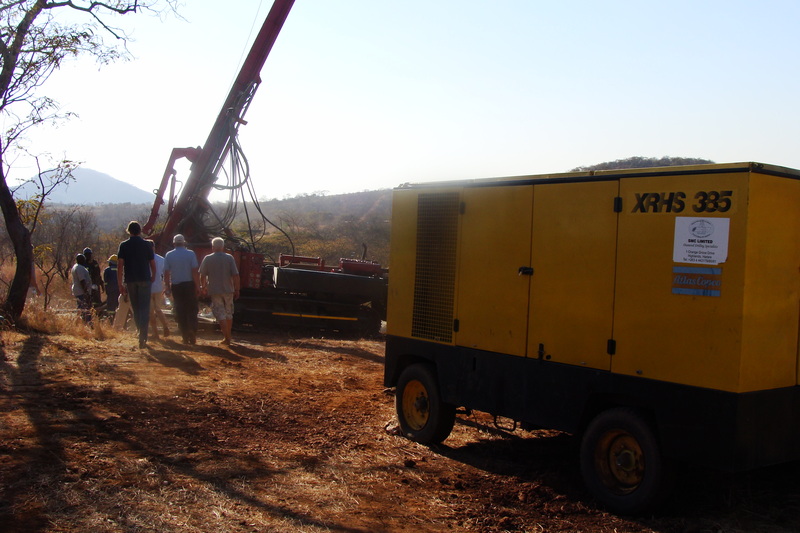 Zimbabwean company with licences, equipment and accomodation facility. Currently production is based on custom milling (also called toll milling) generating a positive cashflow. For the mine to reach its full potential, there need to be additional exploration and additional capital invested, possiby in a step-by-step model. The mine has not been fully developed due to the countrys’ not yet functioning capital markets. There is extractable sand dumps but main focus is underground and possibly open pit mining on site. Previous exploration has given indications of resources of at least 600-1200 kg at 4-6 g/t in average. The 120 000 tons of Gold sand residues is giving 0.65-1.0 g/t, estimated to be profitable at extraction. New tailings generated from custom milling gives about 2.5 g/t. On mining site, owned by the company, we find basic gold mineral processing equipment suitable for small scale operations, 2 wheled tractors, one tracked tractor, on site lab, with AA machine, satellite broadband internet, Cat 920bl excavator and 4 bed room managers house and employee housing. The mining licences cover 100 ha and has an identified strike length of at least 1.5 km. Two parallell reefs have been identified and also, with high possibility, a footwall parallel zone. The current on going small scale operation custom milling is generating positive net revenues.